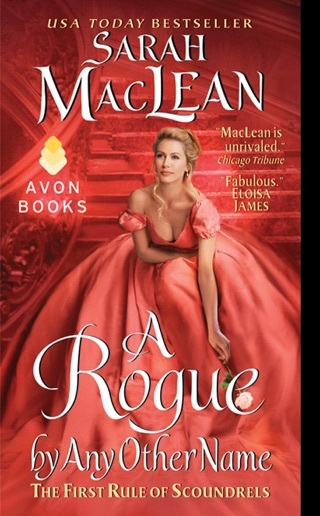 The charm and originality of MacLean's second Scandal and Scoundrel Regency (after The Rogue Not Taken) are stifled by the heroine's desperation and hero's indecision. Scottish duke Alec Stuart only travels to London a place he loathes to check on his tenants. When his ward, Lillian Hargrove, of whom he had no knowledge (and who happens to be a grown woman), becomes the subject of scandal, Alec reluctantly returns to England to get her married off before her reputation is destroyed forever. 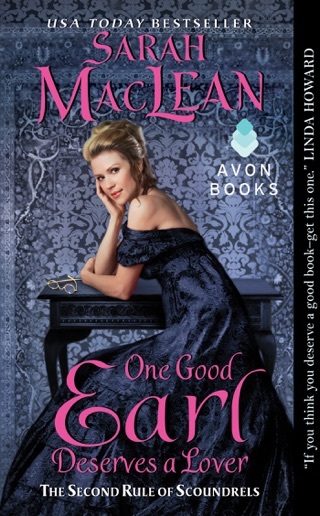 Lillian, who is often called the most beautiful woman in London, doesn't want to be married, but left with no better option, she agrees to choose a suitor. Soon their constant bickering turns to passion, and Alec must admit that he's been hiding his own shameful secret while Lillian learns to accept her fate. Alec is clever and lovable, but his actions serve more to create anxiety in readers than to develop his character. Lillian comes across as juvenile and far too stubborn. The plot is well thought out, though, and fans of the series will rejoice at the opportunity to revisit familiar characters. The story moved at a snails pace. I kept thinking that finally we're getting more story only for it to become "I'm not worthy of you" AGAIN! I have enjoyed many other books by this author, and loved them. I must admit that I don't remember as much internal dialogue in the others but if there is one thing I can't stand is what I call filler words and this book was 3/4 full of them. If you were to take those fillers and the repeated phrases such as; I'm not worthy of you, out I don't think the book could fill 70 pages. Tops! 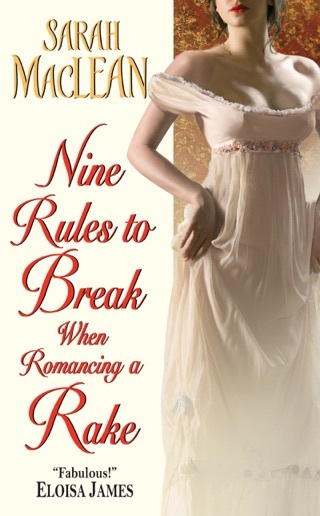 Obviously I don't recommend this book except if you're looking for a lesson on how NOT to write a good romance book. I fell in love with the characters, loved the imagery of each scene and couldn't stop reading! Alec and Lily will have you turning pages until you reach a well deserved happy ending . Normally love her books- this a Disappointment!! 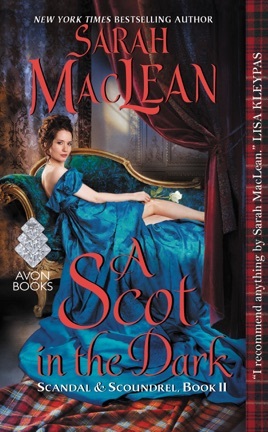 I want to start off by saying I love Sarah MacLean's books and she never disappoints,. Well almost never, but this one time. Yes, this is a first, I found this one Historical to be lacking. I'm not going into the synopsis of the story as it's pretty self explanatory on the blurb. But I'll just say what I like and what I didn't in this review. First of all Sarah Maclean can write and she does it well as always. The flow of the book and her ability to tell a story is very good. Rich detail and engaging secondary characters are there. Good pacing also. I'm sad to say but this love story just didn't work for me. Our heroine is in love with Derek Hawkins, she's known him, "six months, three weeks, and five days and she was going to marry him". "He'd taken her breath away and he noticed her and she'd fallen quite in love". "She had given him everything he asked. Because that was what one did when one was in love". But ten days later she is in love with the hero,Alec. WHAT?!?! The setup, first chapter, just left me with a bad taste knowing that Derek is not the hero but all this was felt for "other guy". Chemistry between the two as far as I'm concerned was not there and no real romance or development of their love for each other. And how is it that Lily is the most beautiful of women but ignored all her life, unnoticed? It was just odd and didn't make sense. She came across as this desperate and somewhat hopeless women. I found her character unappealing. And the back and forth of will they get together dragged on too long for my liking. I lost interest. 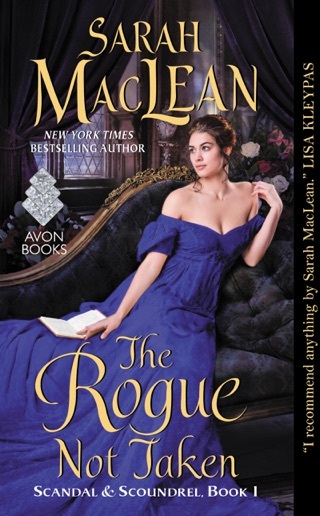 Sarah Maclean is one of my favorite authors and it's saddens me to not give a glowing review. Fingers crossed for the next book.